This animal artist (‘animalier’) uses waste material to create animals. This donkey clearly shows all characteristics of the donkey: thin tail, short legs, trangular head, high hoofs and large ears. 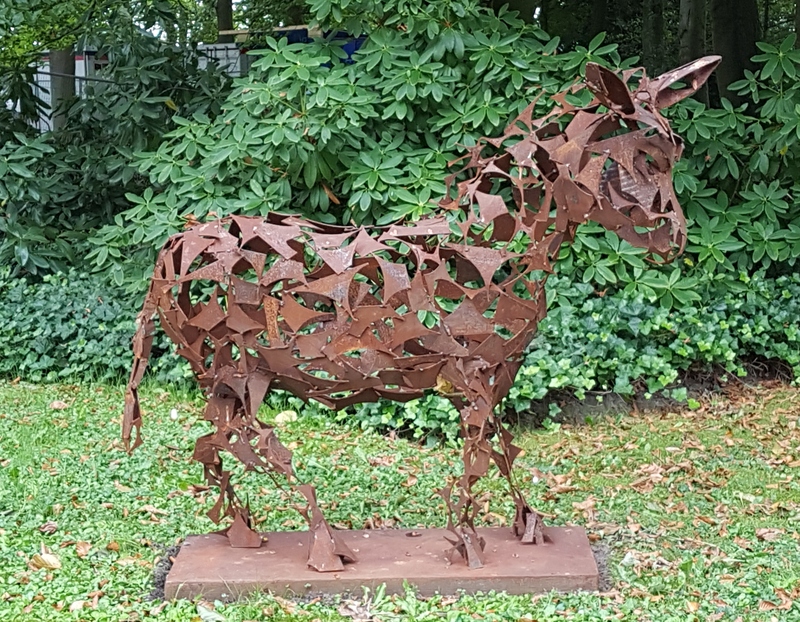 With pieces of scrap metal the artist is able to shape all necessary forms and to give the animal its own soul. In this way she proves her artistic genius. She calls her sculptures ‘spatial design’. Maria Koijck also distinguishes herself by large sculptures made of plastic waste in open spaces by which the public is confronted with familiar animals in an unusual way. She calls this work ‘community art’.